Greetings everyone. With the festive season now behind us, I’ve had time to make a little headway with my painting. 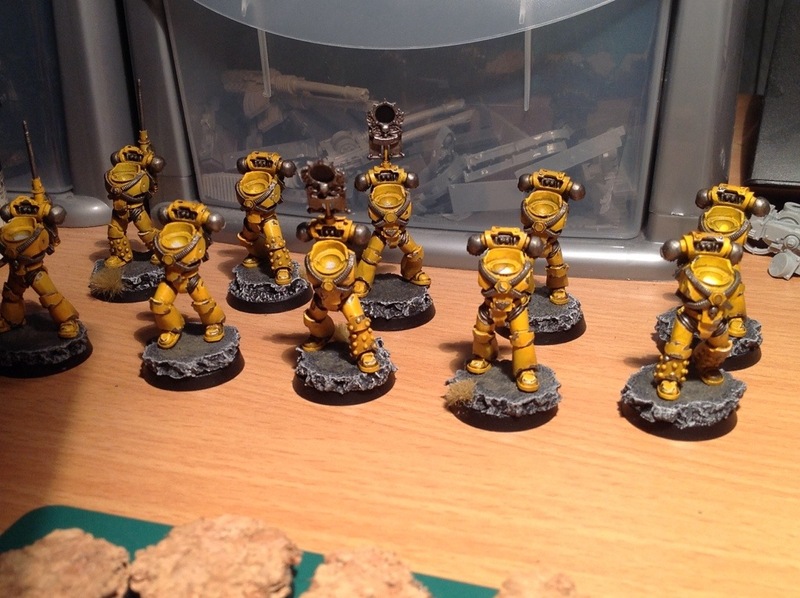 I have made a start on the first two tactical squads. I chose to paint two squads at a time as a motivator. I currently have both squads at five men, with the next half of the squads getting ready for painting next. The most time consuming part is proving to be the arms, which I paint separately. 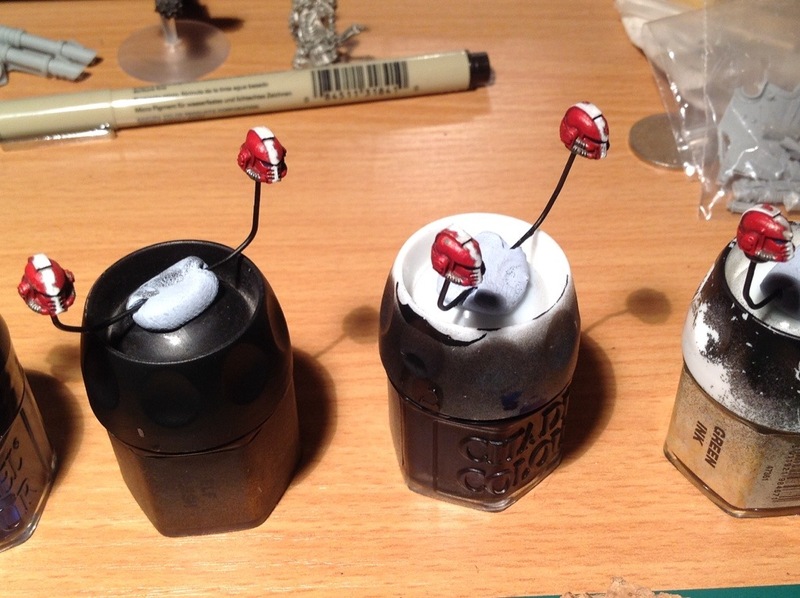 Affixing the Forgeworld decals was a pain on the curved surface of the pauldrons, even with micro sol. Now that they’ve dried, the decals have flattened out , but some still have wrinkles in them. Oh well, it’s better than me trying to paint the symbols on. A coat of varnish will go on next to protect the decals tonight, and then the trim and weathering. I finished work this morning a hour early, so when I got home I decided to paint up the heads for all the marines painted so far. What was I thinking! Just over two hours work, but they’re done. Painting after a night-shift is not recomended! 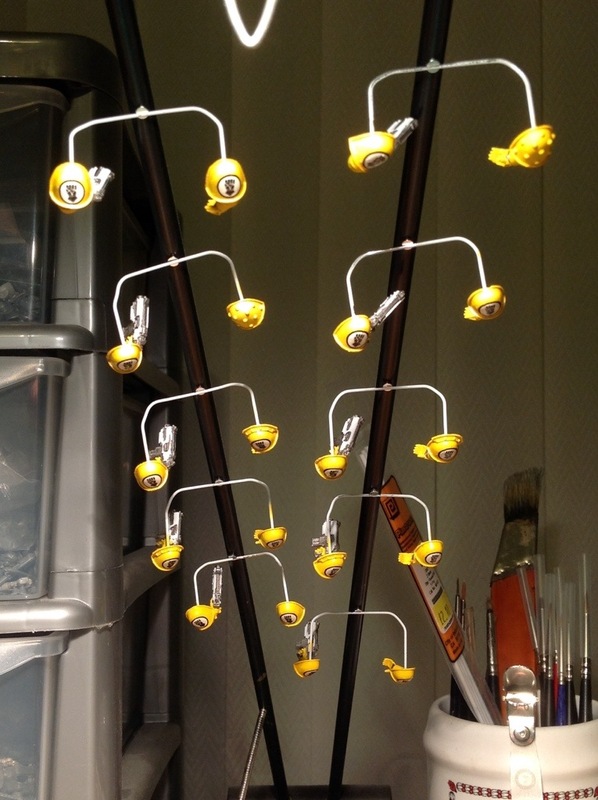 So, by tomorrow night, the ten marines should be finished, and I can start on the next batch. Hoping to get all of the marine infantry painted by mid-February,which gives me a month to paint up the three vehicles in my list. Thanks again for looking. Next Next post: Re-creating battle damage.